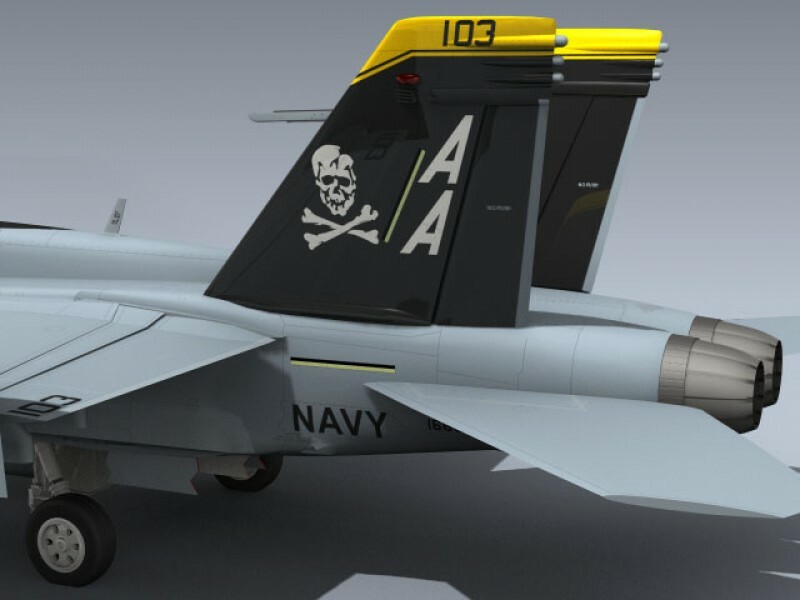 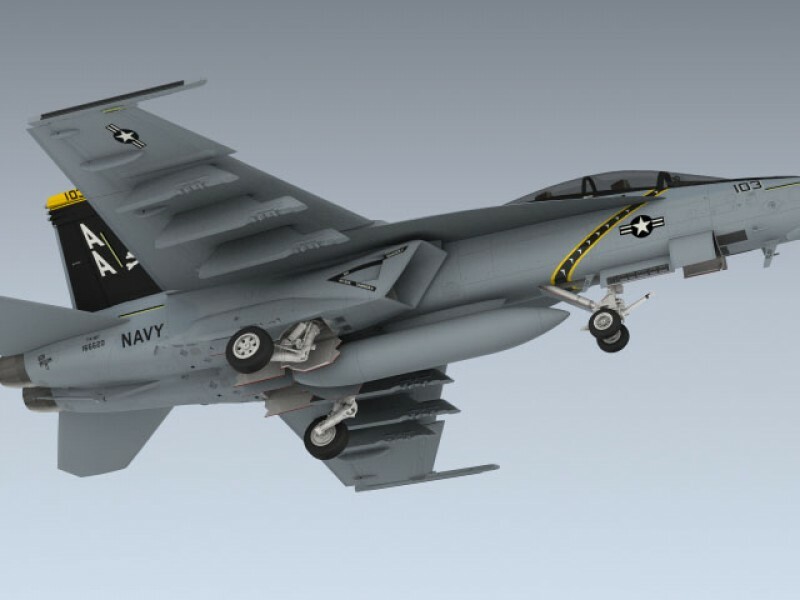 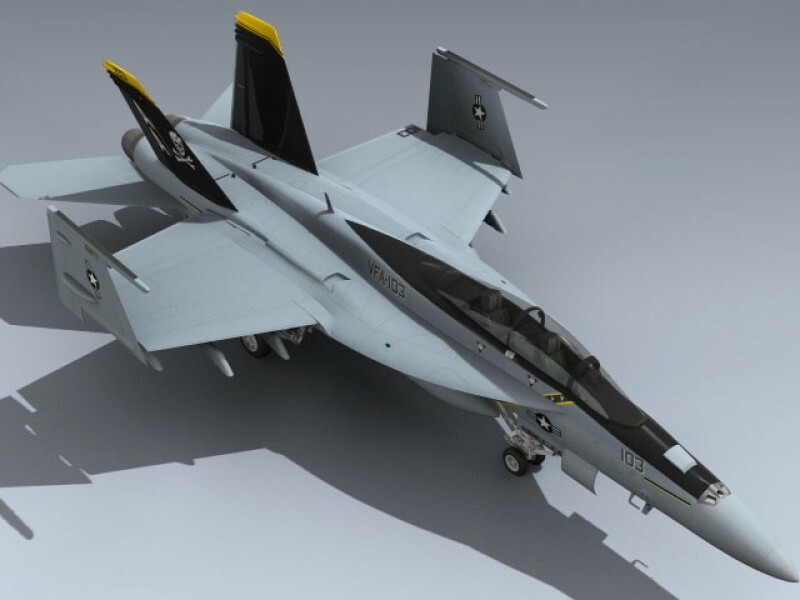 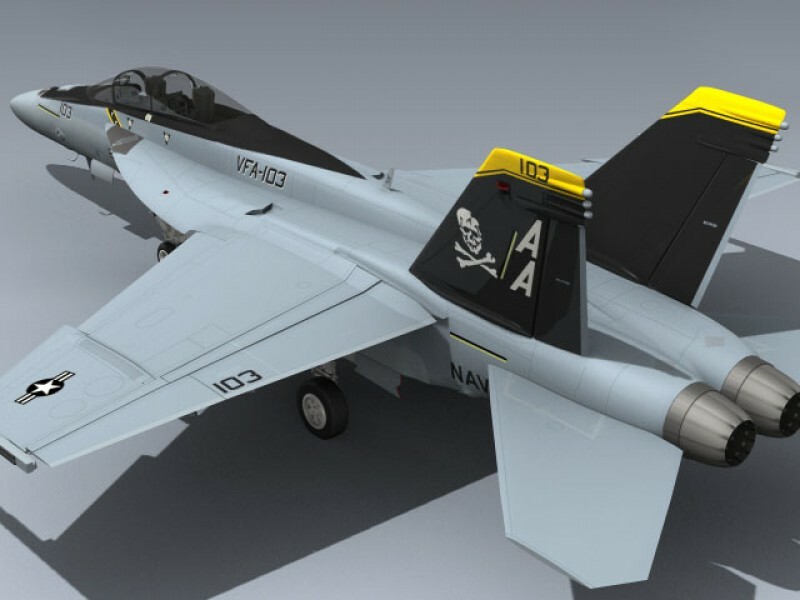 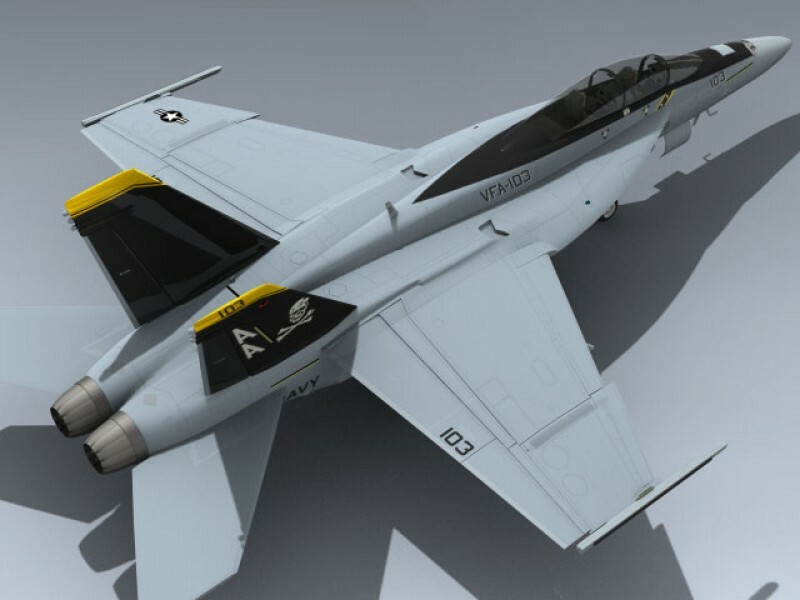 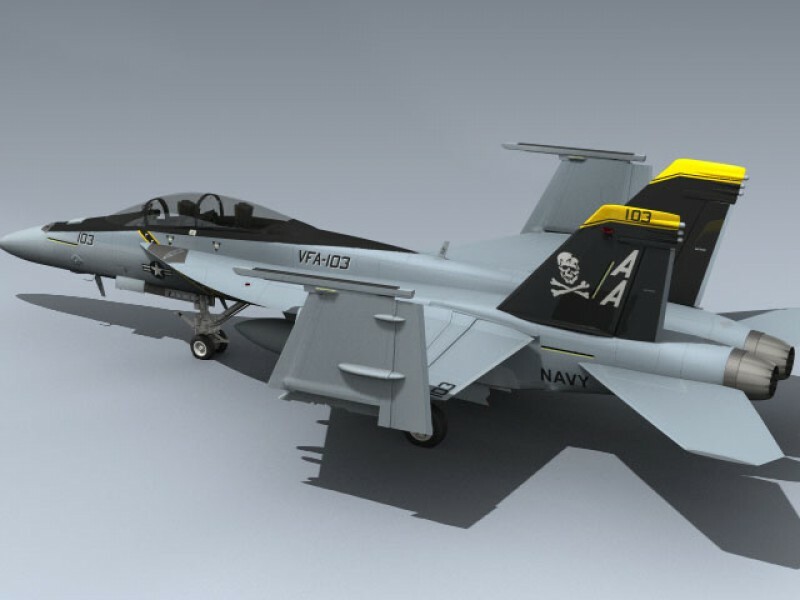 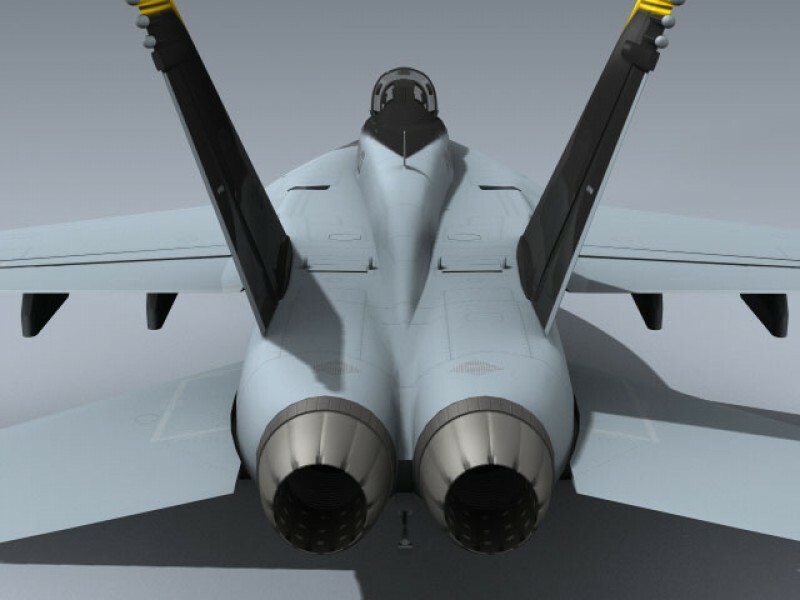 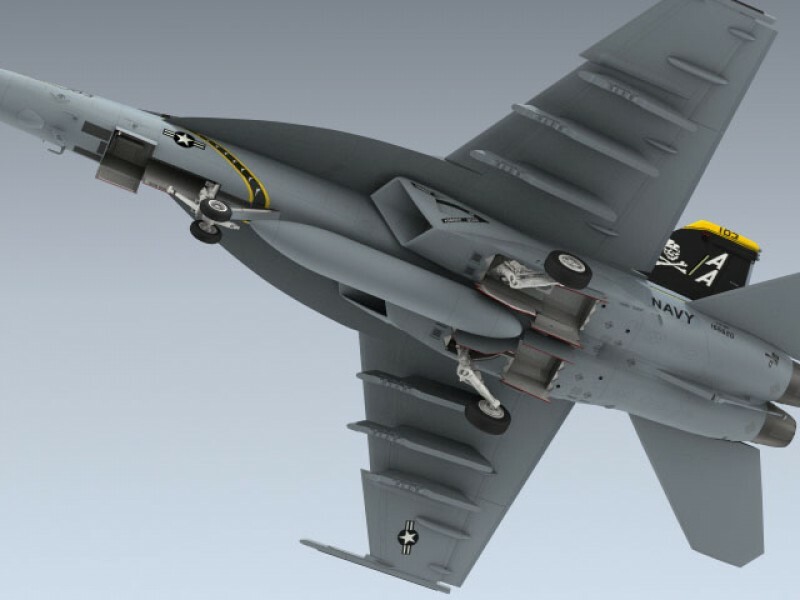 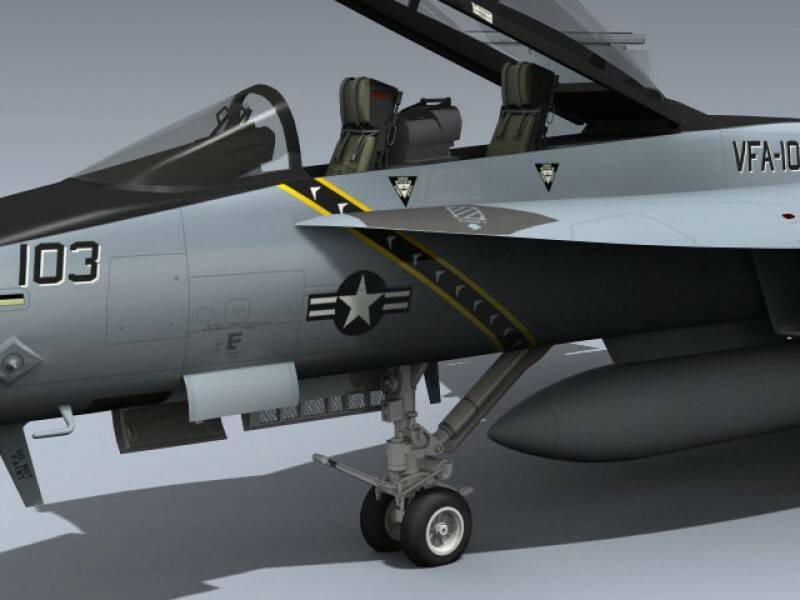 Very detailed two seat Super Hornet featuring accurate CAG markings from VFA-103 "Jolly Rogers" circa 2005. 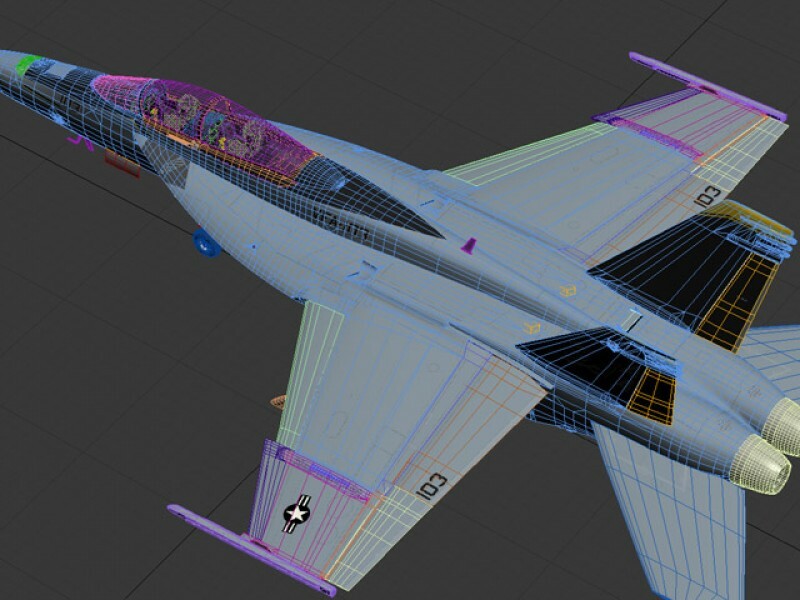 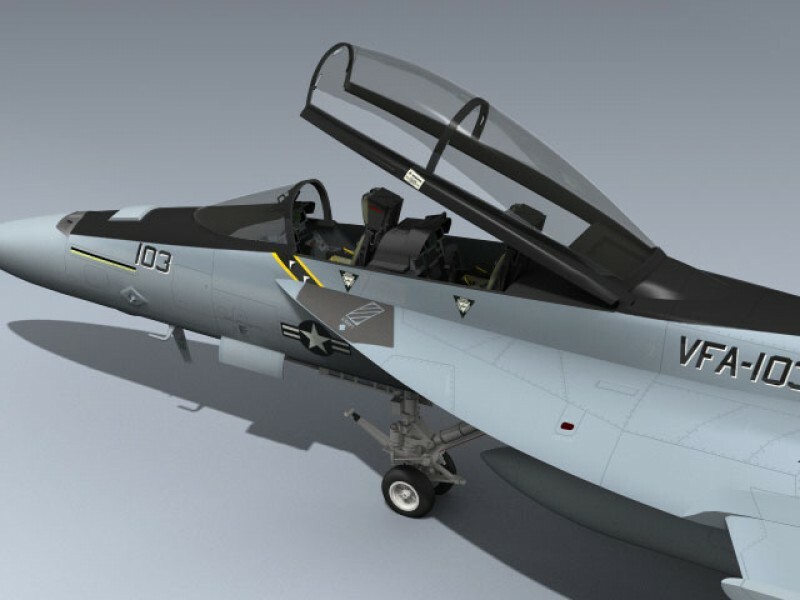 Includes separate flight control surfaces, canopy, landing gear, air bleed doors and ejection seats for animating. 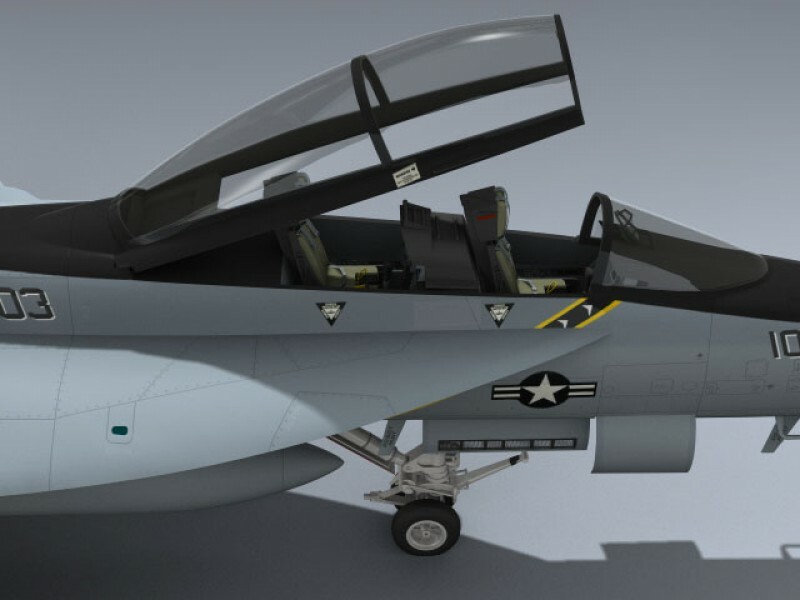 Also included are both open and closed landing gear doors for fast in-flight setup.